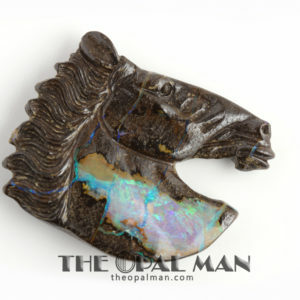 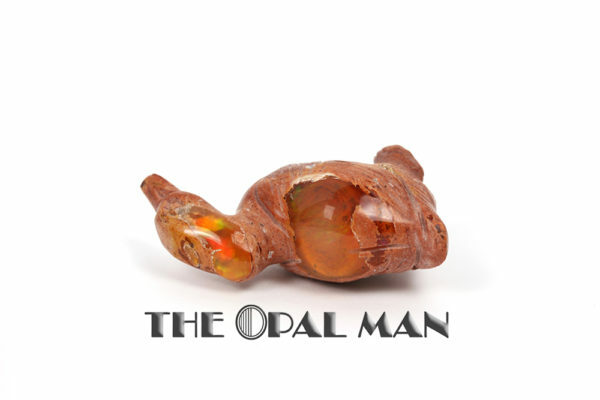 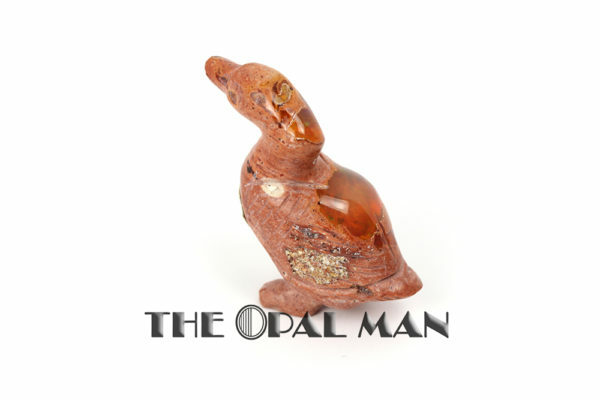 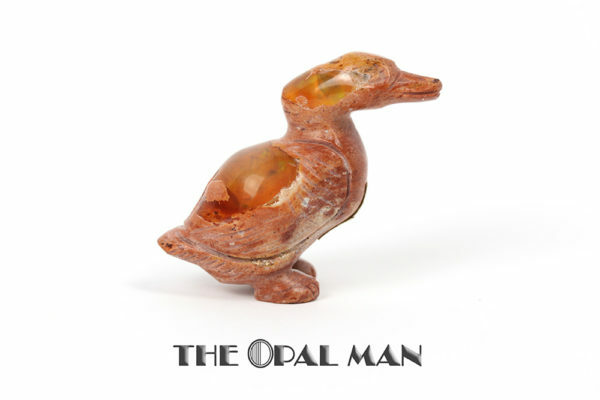 Carved Mexican opal duck figurine. Nice amber color depth with flashes of greens and yellows. 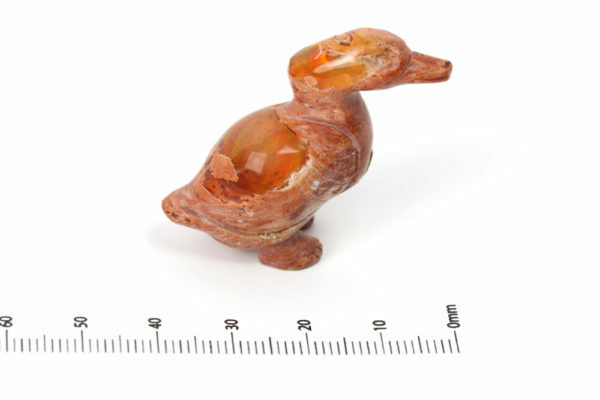 Cute duck!